Sothys is one of my favourite premium brands from France. They recently released a new limited edition of their seasonal facial. Yes, limited as Sothys does this to test the market for all facials that are launched. 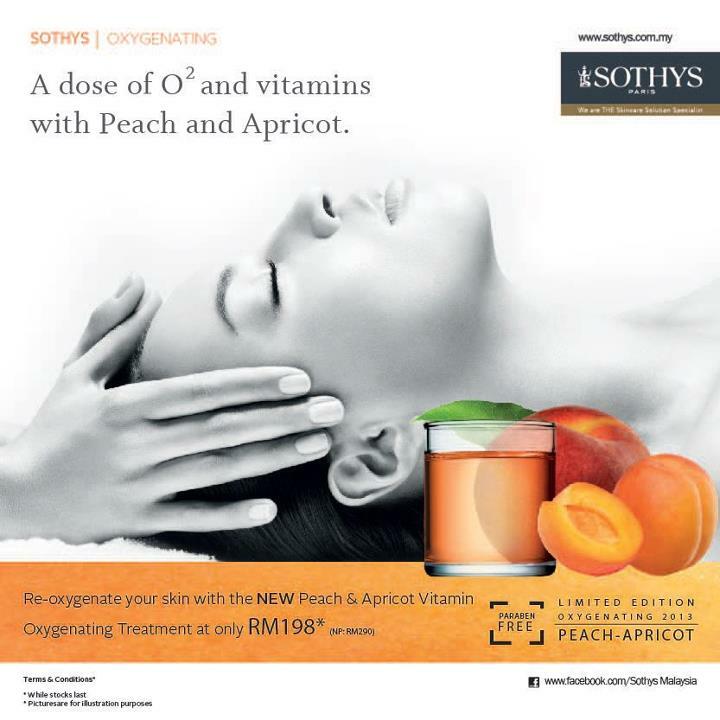 Apricot Limited Edition treatment! Currently retailing at ONLY RM198!! I havent tried it yet, but knowing Sothys, you will definitely enjoy the luxurious experience you will receive should you choose to head to one of their 128 Faubourg salons. I definitely will love it!